Each August, hoards of crustacean-aficionados descend on Rockport for the town's famous Maine Lobster Festival. You can do like David Foster Wallace, but why not head north to neighboring Rockland a little earlier to catch the opening of the Toshiko Mori–designed Center for Maine Contemporary Art (CMCA)? The former chair of the Department of Architecture at Harvard GSD was tapped to design the CMCA's new home three years ago. Although Mori has designed for museums (including a 7,300-square-foot canopy at the Brooklyn Children's Museum) before, this is her first full-scale museum commission. The 11,500-square-foot building's wall-to-wall glass and corrugated metal exterior is designed to optimize Maine's "legendary light." In addition to 5,500 square feet of gallery space, the structure features an ArtLab and a 2,200-square-foot public courtyard. Currently under construction, the museum is slated to open on June 26, 2016. Founded in 1952 as an artists' cooperative, CMCA eschews a permanent collection in favor of providing a forum for living artists with ties to Maine to display their work. The museum operated out of a downtown fire station livery stable for fifty years as Maine Coast Artists before the museum assumed its current name and program under former director Mildred Cummings. Despite (or in spite of) its distance from major population centers and small size, Rockland is an arts hub: CMCA is across the street from the Farnsworth Art Museum, another art museum dedicated to Maine, and adjacent to the historic venue Strand Theatre. 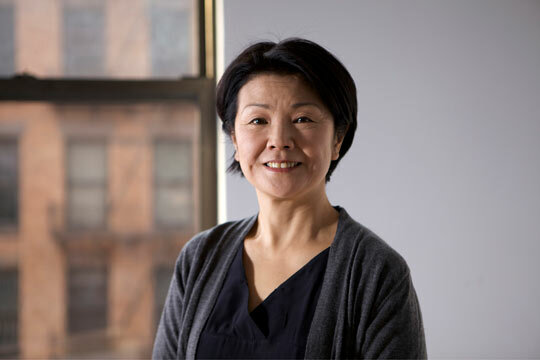 With strong architectural ties in Maine and an interest in cultural building design throughout her career, New York City–based architect Toshiko Mori has been chosen to redesign the Center for Maine Contemporary Art (CMCA). Currently in the same historic Rockport firehouse since 1967, the Mori-designed CMCA will move the arts center to a larger site in the city of Rockland and update it with a building contemporaneous to the art it houses. Work on the project is set to begin as soon as environmental and engineering tests are completed at the museum’s current site. The new center in Rockland plans an opening in time for the 2015 museum season. Of the commission, Mori stated: “I have been associated with mid-coast Maine in the last thirty years, and I am especially excited to make a contribution to promote contemporary arts in Maine."